Alpine Solutions is a snow avalanche and mountain safety services company. We provide our expertise to companies, organizations, and government agencies requiring risk assessment, mapping, engineering mitigation, snow safety management, and avalanche control solutions. Professional services provided are based on a solid foundation of engineering principles combined with extensive practical experience. Examples of recent projects can be found on our Projects page. Our team is composed of committed snow avalanche specialists, engineers, and technicians with a wide range of experience and qualifications. In addition to our consulting services we regularly contribute to avalanche knowledge by collaborating with leading industry professionals as well as attending and presenting at international conferences. A list of our published papers can be found here. Although the company is based in the expansive mountain ranges of BC (Canada), we also offer services internationally, and have experience in the USA (Alaska and continental US), China, Europe, and South America. Please visit our Services page for more specific details of services offered. We regularly work with industry leading companies who are committed to ensuring a safe workplace for their personnel. Alpine Solutions has adopted safe workplace policies and procedures that meet or exceed regulatory requirements and best practices. Our company is registered with, and has received 'A' certification with ISNetworld, a leading international health and safety certification agency. Alpine Solutions is an Engineers and Geoscientists BC (EGBC) Organizational Quality Management (OQM) certified company. This certification reflects a corporate commitment to maintain the highest professional standards in engineering; meeting both client and legislative requirements, and delivering on time and on budget. EGBC created the Organizational Quality Management Program to assist and recognize organizations that employ professional engineers in supporting the EGBC professional in meeting their professional obligations under the Engineers and Geoscientists Act and Bylaws. Alpine Solutions staff are members of their respective organizations and regulatory bodies. 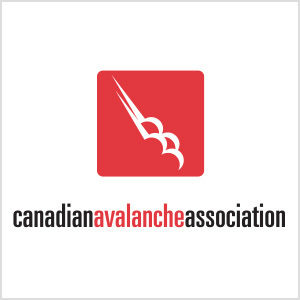 Click on the logos below to learn more about the organizations overseeing standards in snow avalanche work in Canada.